This DVD is designed to teach the basics of bluegrass banjo playing to the beginning student who has no previous music experience. 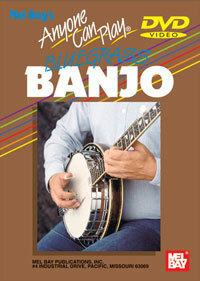 It includes a broad discussion of Scruggs-style banjo playing with a brief introduction to melodic-style playing. Bluegrass standards such as Cripple Creek, Lonesome Road Blues, Little Maggie, Bury Me Beneath the Willow, and many others are taught in the lessons.